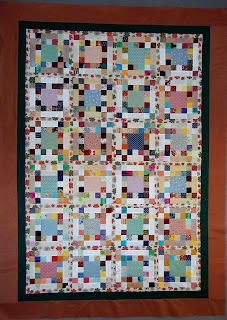 My second quilt to make for Quiltmaker's Addicted to Scraps using Bonnie Hunter's block Idaho Square Dance is finished. This is the block Bonnie made and is featured in the May/June issue of Quiltmaker Magazine. 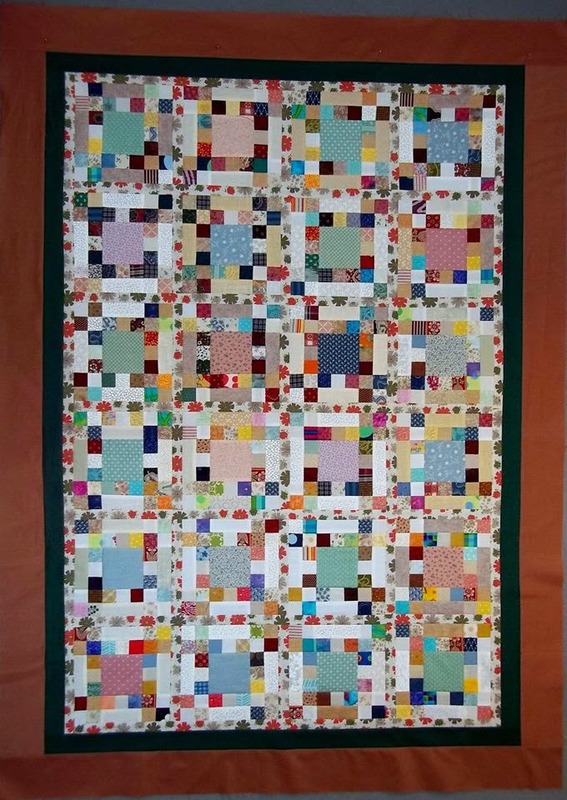 Here is my block before I pressed it. Sorry I didn't take any photos of the blocks after I pressed them. I had a western panel in my stash that I used for the center square of the Idaho Square Dance blocks. 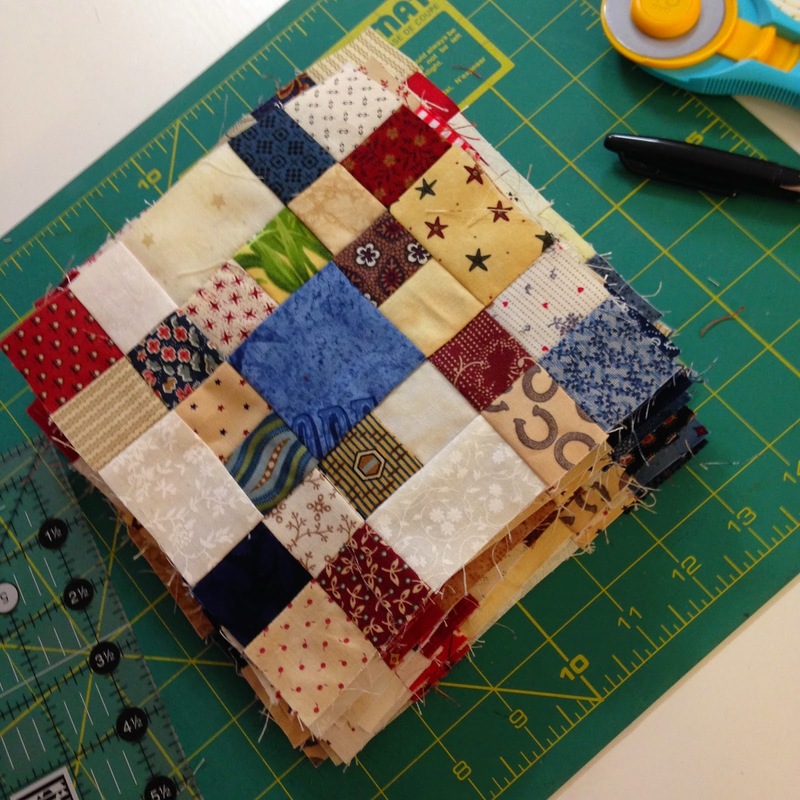 Then I made this similar block to go in one of the borders for a pieced border. That's where the Western Swing comes in to do the Idaho Square Dance. 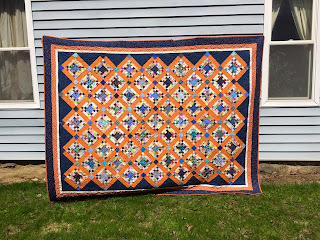 I drained by stash of 1 1/2" x 2 1/2" bricks and 1 1/2" squares in light background fabrics plus all the red and blue 1 1/2" squares. I actually had to cut more from my stash fabrics. 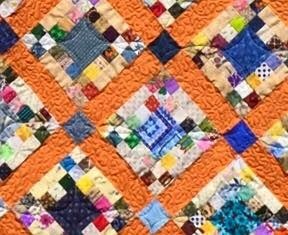 There are 12 - 1 1/2" light squares per block and there are 40 blocks so that's 480 - 1 1/2" squares of light, 160 - 1 1/2" x 2 1/2" bricks, and 480 - 1 1/2" squares of red, blue, and various other colors as well. They finish 6". 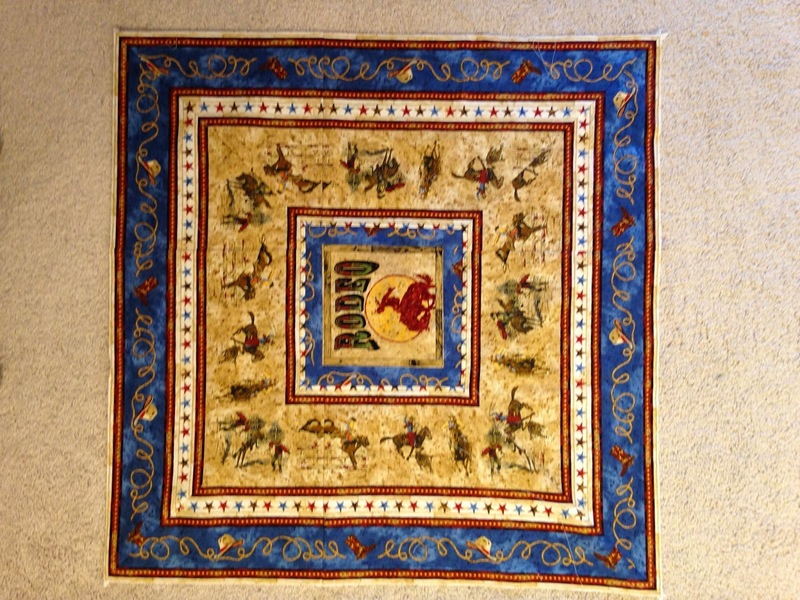 Horseshoes quilted in tan Mother Goose thread. 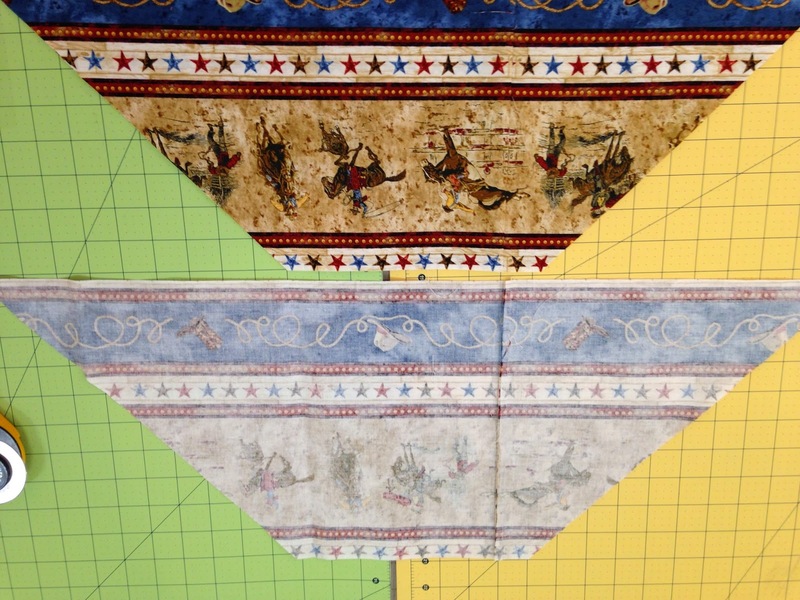 The outer border is a striped fabric so I had to miter the corners. 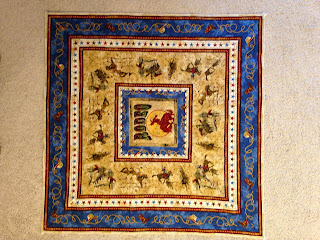 And what do you do with all the wasted fabric from the mitered corners? I pieced them together and made a mitered frame to go around one of the panel blocks left over from the front. 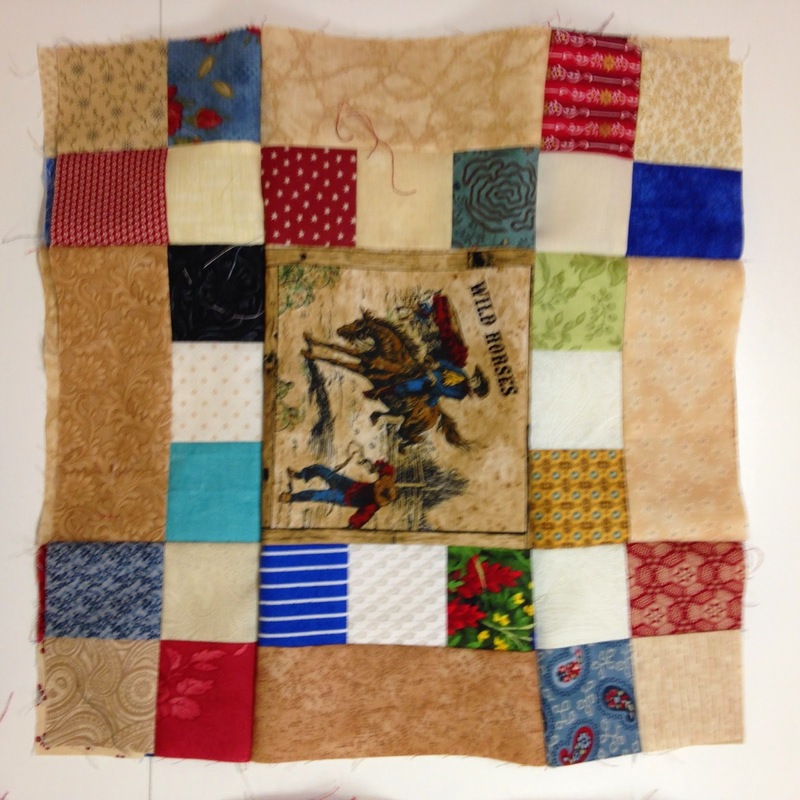 This is the center block for the backing of the Idaho Square Dance. I kept adding to it using the left over panel squares from the front and some western fat quarter fabrics from my stash plus some red barbed wire fabric and this is the back. I like it almost as much as I like the front. 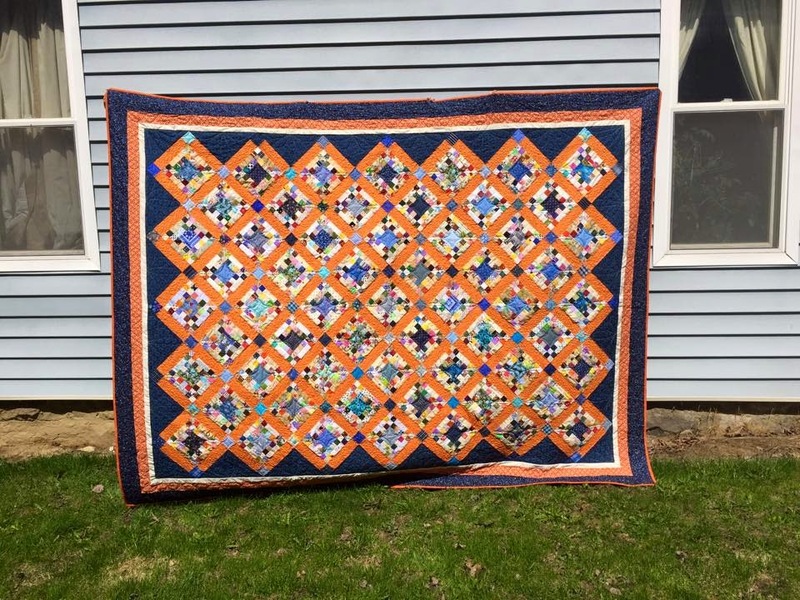 A certain little boy who is mesmerized by the Western Channel on TV will love this quilt. He loves horses on TV and in real life too. 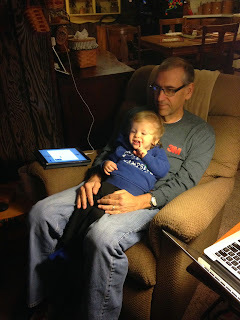 This is Emmett with Poppy (aka The King) watching Bonanza on TV. 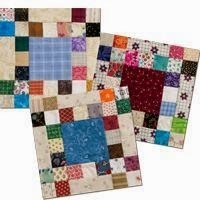 You can hop on over to the Quiltmaker's Quilty Pleasures blog and see their post about the Idaho Square Dance block. 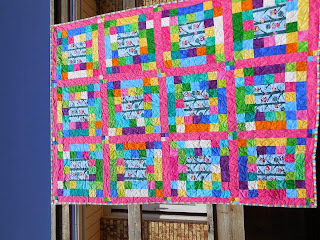 Here are a couple of my Addicted to Scraps Team members and their Idaho Square Dance quilts. Shari Wonderling set this one on point. 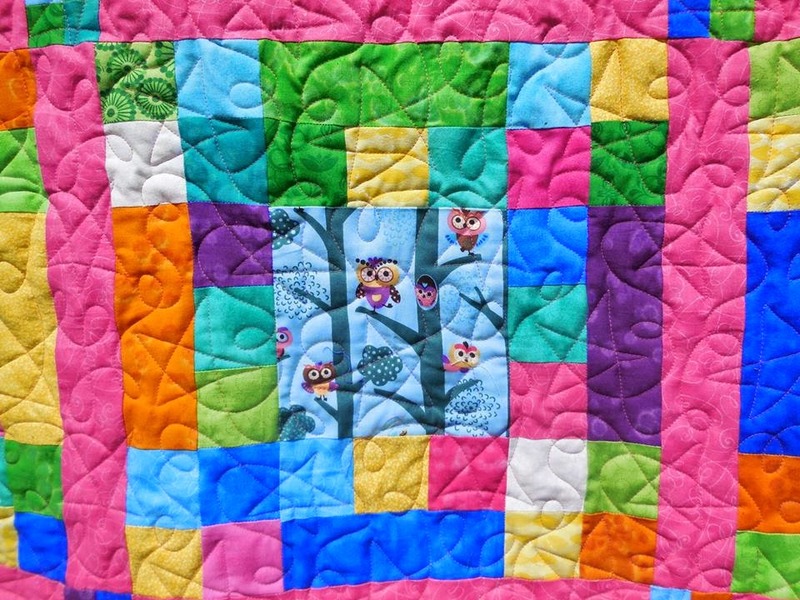 I don't think Shari's quilt has been published yet on Quilty Pleasures. 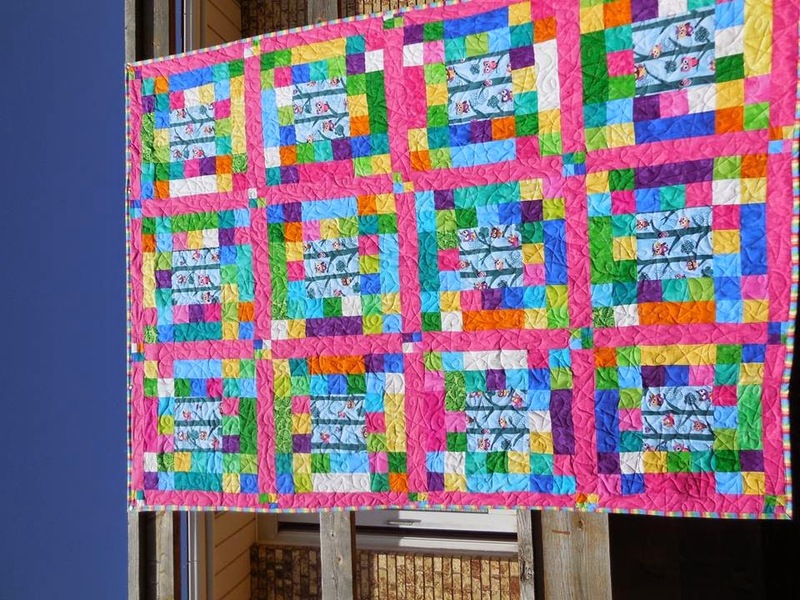 And June Sinfield made this bright and cheery one. 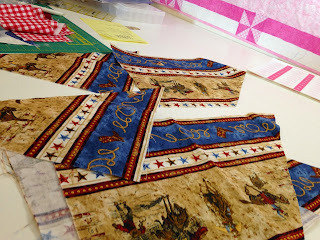 I don't think June's has been published yet either on Quilty Pleasures Blog but it will be soon. Hello sweet Doris!! As always I can see that you have been very busy! Wonderful projects!!! That is a great pattern. They all look wonderful and so different. What a cute little guy too.